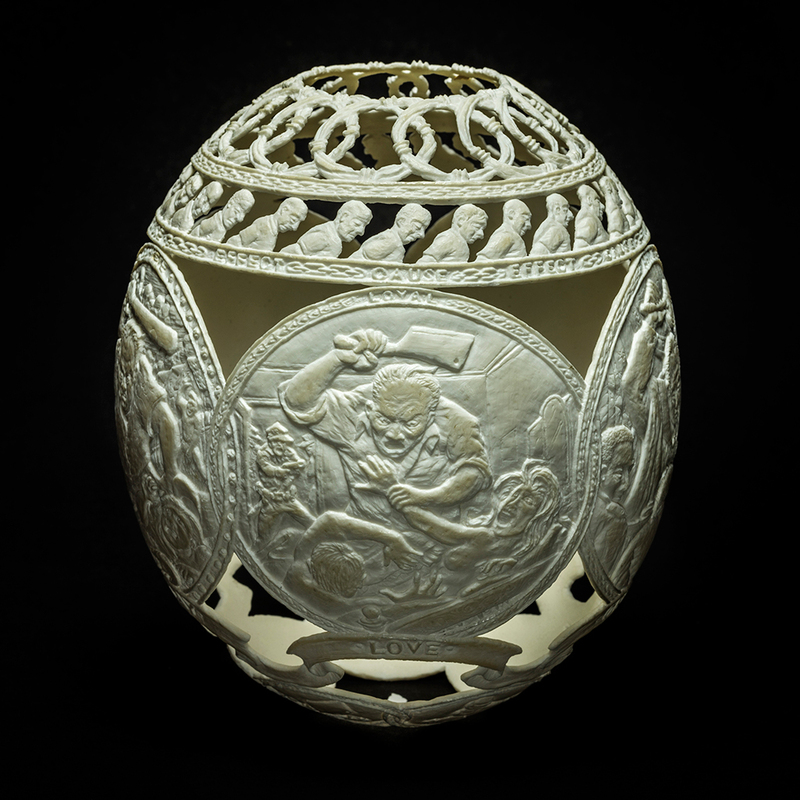 Intricately carving imagery of prison life into ostrich eggs might seem like an odd artistic endeavor, but as is often the case with artists, there’s a deep meaning behind the madness. But why eggs? The medium holds a unique significance, not only in its fragility, but also, in the words of author Norman Brosterman, “as nature’s most perfect creation and manifestation of life and birth.” The result is a touching reminder of the stakes we often overlook when casting someone away to prison, especially considering America’s almost unfathomable commitment to incarceration, with nearly one out of every 100 Americans currently behind bars. Far and away the largest prison population in the developed world. Starting tomorrow, you can see Hatched in Prison at the Ricco Maresca Gallery in New York City until January 9th.